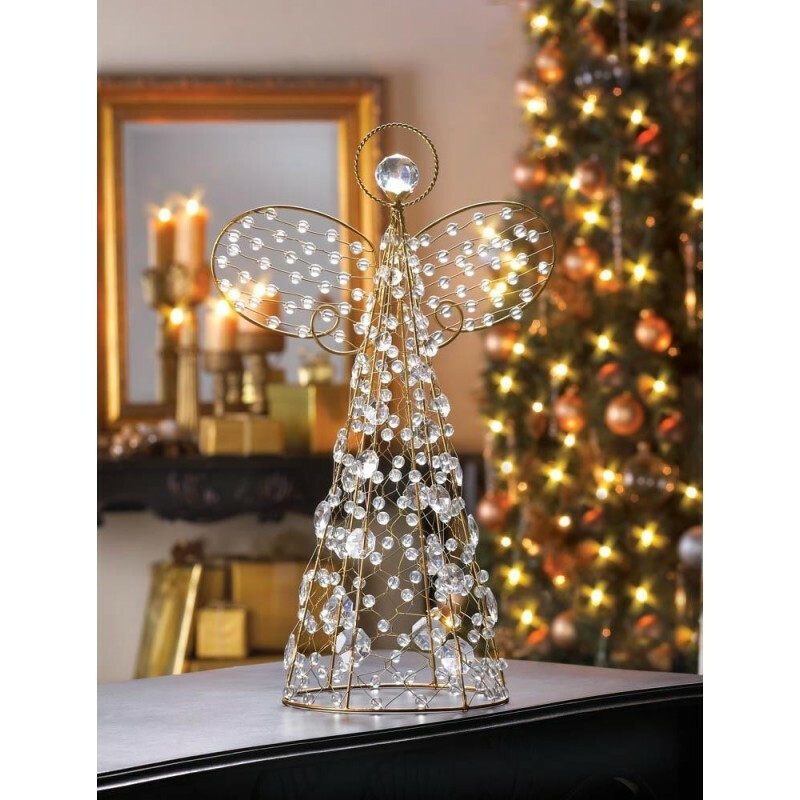 The golden wire frame and the crystalline beads of this stylized angel capture common light and turn it into ethereal sparkle. Place it on your tabletop, shelf, or even top your holiday tree with this lovely accent. weight: 1 lb. 10.25" x 7" x 18.25" high. Metal and PVC.